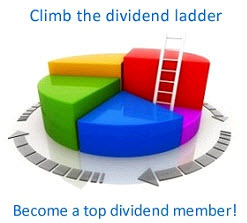 As we indicated earlier, different groups, or clienteles, of stockholders prefer different dividend payout policies. For example, retired individuals, pension funds, and university endowment funds generally prefer cash income, so they may want the firm to pay out a high percentage of its earnings. Such investors are often in low or even zero tax brackets, so taxes are of no concern. On the other hand, stockholders in their peak earning years might prefer reinvestment, because they have less need for current investment income and would simply reinvest dividends received, after first paying income taxes on those dividends. If a firm retains and reinvests income rather than paying dividends, those stockholders who need current income would be disadvantaged. The value of their stock might increase, but they would be forced to go to the trouble and expense of selling off some of their shares to obtain cash. Also, some institutional investors (or trustees for individuals) would be legally precluded from selling stock and then "spending capital." On the other hand, stockholders who are saving rather than spending dividends might favor the low dividend policy, for the less the firm pays out in dividends, the less these stockholders will have to pay in current taxes, and the less trouble and expense they will have to go through to reinvest their after-tax dividends. Therefore, investors who want current investment income should own shares in high dividend payout firms, while investors with no need for current investment income should own shares in low dividend payout firms. For example, investors seeking high cash income might invest in electric utilities, which averaged a 73 percent payout from 1996 through 2000, while those favoring growth could invest in the semiconductor industry, which paid out only 7 percent during the same time period. To the extent that stockholders can switch firms, a firm can change from one dividend payout policy to another and then let stockholders who do not like the new policy sell to other investors who do. However, frequent switching would be inefficient because of (1) brokerage costs, (2) the likelihood that stockholders who are selling will have to pay capital gains taxes, and (3) a possible shortage of investors who like the firm's newly adopted dividend policy. Thus, management should be hesitant to change its dividend policy, because a change might cause current shareholders to sell their stock, forcing the stock price down. Such a price decline might be temporary, but it might also be permanent—if few new investors are attracted by the new dividend policy, then the stock price would remain depressed. Of course, the new policy might attract an even larger clientele than the firm had before, in which case the stock price would rise. Evidence from several studies suggests that there is in fact a clientele effect.4 MM and others have argued that one clientele is as good as another, so the existence of a clientele effect does not necessarily imply that one dividend policy is better than any other. MM may be wrong, though, and neither they nor anyone else can prove that the aggregate makeup of investors permits firms to disregard clientele effects. This issue, like most others in the dividend arena, is still up in the air. 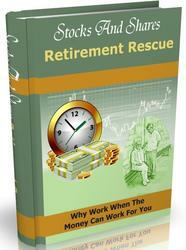 As we noted at the beginning of the chapter, the stability of dividends is also important. Profits and cash flows vary over time, as do investment opportunities. Taken alone, this suggests that corporations should vary their dividends over time, increasing them when cash flows are large and the need for funds is low and lowering them when cash is in short supply relative to investment opportunities. However, many stockholders rely on dividends to meet expenses, and they would be seriously inconvenienced if the dividend stream were unstable. 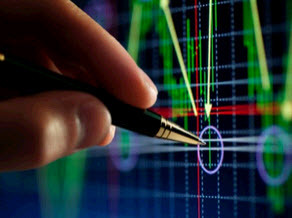 Further, reducing dividends to make funds available for capital investment could send incorrect signals to investors, who might push down the stock price because they interpreted the dividend cut to mean that the company's future earnings prospects have been diminished. Thus, maximizing its stock price requires a firm to balance its internal needs for funds against the needs and desires of its stockholders. 1. Virtually every publicly owned company makes a five- to ten-year financial forecast of earnings and dividends. Such forecasts are never made public—they are used for internal planning purposes only. However, security analysts construct similar forecasts and do make them available to investors; see Value Line for an example. Further, virtually every internal five- to ten-year corporate forecast we have seen for a "normal" company projects a trend of higher earnings and dividends. Both managers and investors know that economic conditions may cause actual results to differ from forecasted results, but "normal" companies expect to grow. S elf-Test Question affect dividend policy.